Santander 2014: What's The Big Deal? Santander 2014 just wrapped up last week. The scores are in, the winners have been placed and all the boats are put away. Many sailors might be asking themselves right now, What’s the big deal? Where is Santander? What’s different about this race compared to others? What does Santander have to do with the Olympics? All of your questions will now be answered! 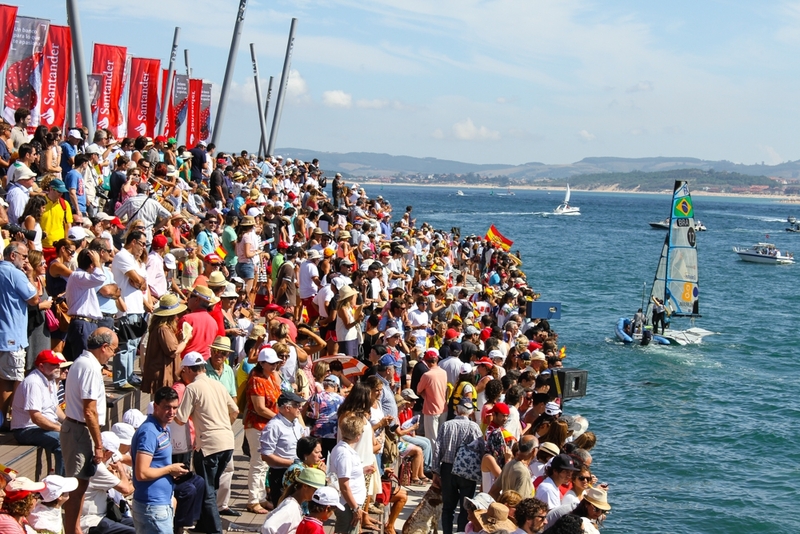 Santander, Spain is where they held the sailing races for 2014 ISAF (International Sailing Federation) World Championships. ISAF is in charge of (among many other things) managing sailing at the Olympic Games. This year the world championships were held September 12-21 with thousands of spectators watching from the shore. 80 countries were represented during the 9 day races in 10 different events. AND…GET THIS, The events sailed and the equipment used in 2014 will be those selected for the 2016 Olympic Sailing Competition. That’s what’s the big deal. Everyone and every country who showed up for this event will most likely be in the 2016 Olympics since this was like a pre-qualifying event. Here’s a video with highlights from the last day of the competition, September 21, 2014. This will give you a good idea of what it was like to be in Santander two weeks ago. For more information and the full report of Santander 2014, go to ISAF’s Official Site.